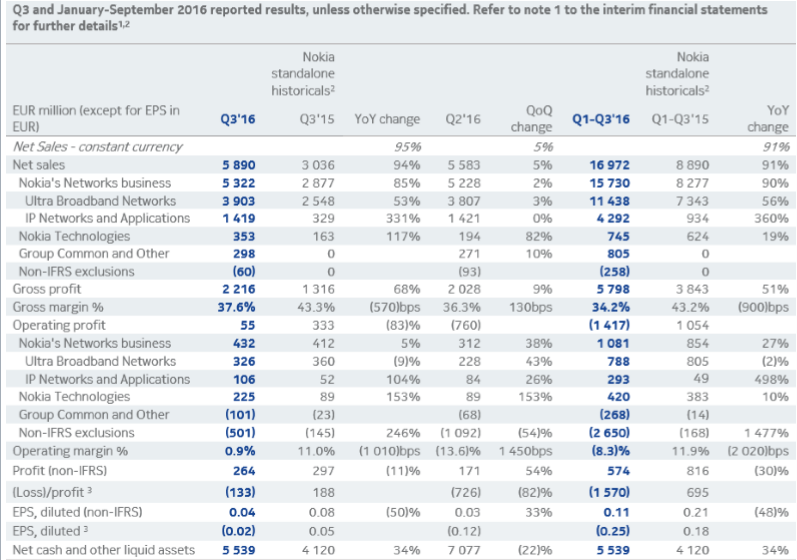 Nokia announced today its financial results for the third quarter of 2016. 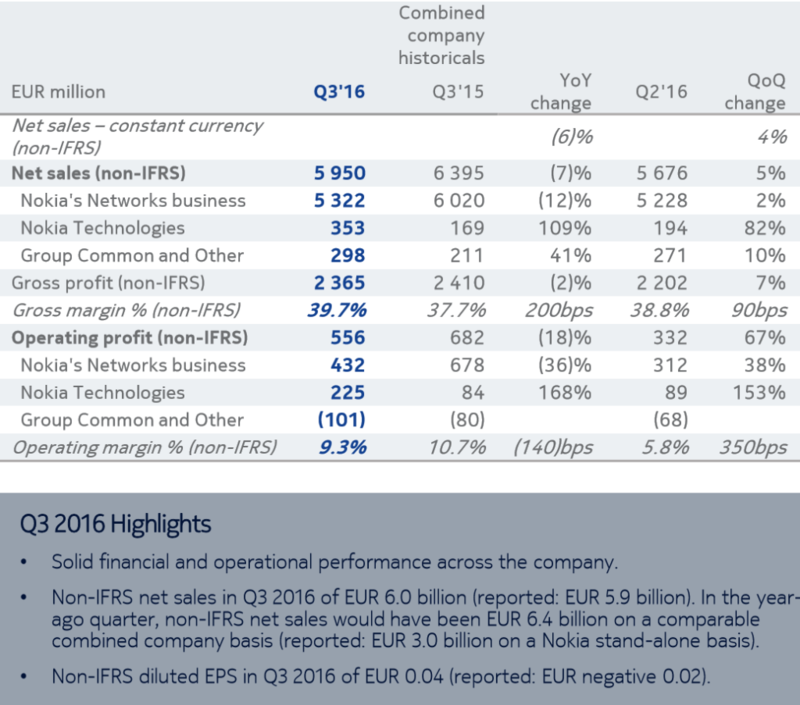 Nokia posted non-IFRS (results excluding the Alcatel-Lucent integration) profit of €556 million, with a €5.95 billion revenue. The results are as expected with EPS (Earnings per share) of $0.04. When we include the Alcatel-Lucent integration in the results, Nokia posted a loss of €133 million, but that is significantly better than the €726 million (IFRS) loss in Q2 this year. CEO of Nokia Rajeev Suri warned that Nokia expects a single-digit decline of the mobile networks market in 2017, but a significant QoQ net sales growth and operating margin expansion are expected in Q4 2016 (next quarter). Nokia’s share price dropped 7% in pre-market trading this morning on NYC Stock Exchange.